Aussie remote telecommunications and IT solutions provider, Speedcast International (ASX:SDA), has won a multimillion-dollar deal to provide the Australian Antarctic program with mission-critical communications infrastructure. The multi-year deal with the Department of the Environment and Energy’s Australian Antarctic Division, which extends until September 2020, sees Speedcast provide VSAT bandwidth, equipment and installation including training, antenna upgrades and repositioning, and network optimisation. The company, which counts Cisco, AsiaSat and Inmarsat among its partners, will also provide additional support to other scientific users, such as Geoscience Australia at the three Australian Antarctic research stations, Mawson, Casey and Davis, as well as the base on Macquarie Island. Speedcast said that the updates set to make to the existing satellite links will see the research program gain four times more throughput than it has previously. The new installations are expected to be completed in January 2018. "Being chosen to provide communications in Antarctica is both an honor and a testament to Speedcast’s commitment to supporting the Australian Government and enabling leading-edge research," Speedcast CEO, Pierre-Jean Beylier, said. "Our team of highly qualified engineers is proud to provide 24/7 support and solutions to enable individuals in these remote and harsh locations to communicate with the outside world for day-to-day communication and in the event they need emergency assistance. “This win is an example of the increase in government spending in satellite communications and Speedcast’s ability to grow market share as the government segment continues to expand,” he said. 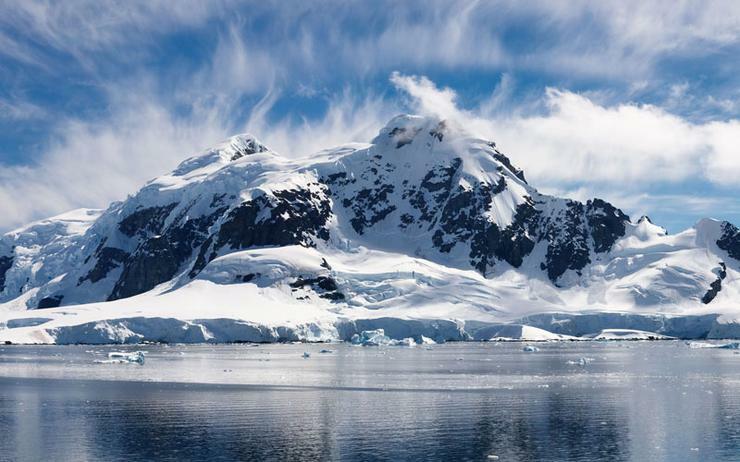 The Australian Antarctic Division threw open a new request for tender in June, calling for potential suppliers to service its telecommunications needs and the IT systems that underpin it, while also helping it to update some of the associated infrastructure. The Division oversees the telecommunications services for three permanent stations within the Australian Antarctic Territory at Casey, Davis and Mawson stations, and one sub Antarctic station at Macquarie Island. The Department also operates an ice runway aerodrome at Wilkins and an ice-breaking ship, both of which are only operated during the Antarctic summer, from around October to early April each year. “The AAD intends to take this opportunity to substantially upgrade the satellite capacity and support services to each of its Antarctic stations,” the AAD said in tender documents at the time. “The Antarctic environment creates challenges for the delivery of the services,” the AAD said. “For the Antarctic stations, temperatures are often down to -40C with winds greater than 185km [per] hour and heavy snow. The vessel routinely encounters waves of 10+ metres, with winds and snow similar to the Antarctic stations. “Macquarie Island experiences nearly continuous gale force winds from the west as well as rain, sleet and snow for around 300 days of the year. Temperature varies from around -10C in the winter to +10 in the summer,” it said. While there may occasionally be up to 120 people based in each research station in the summer months, during the harsh Antarctic winters, when travel to the continent is not possible, the population of each research station is generally much smaller, and satellite communication remains the only link to the outside world. The reliability of these links is an essential lifeline for wintering expeditioners, and enables telemedicine support if required.